What a cutie! 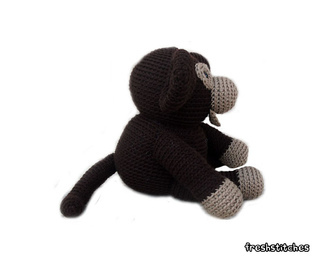 Owen is your classic huggable monkey, who measures 9” tall when seated (12.5” tall, standing). 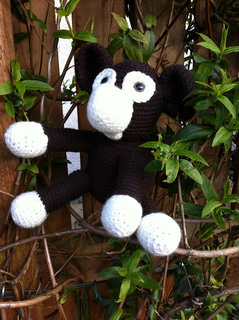 His main hobby is sitting on the sofa- that way, he doesn’t get involved in any monkey business! 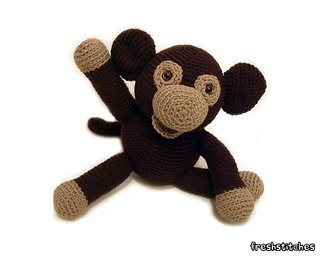 Crochet this guy up, and he’s going to be adored! This pattern is an easy level pattern: it requires moderate shaping (increases and decreases) and is mostly single crochet. 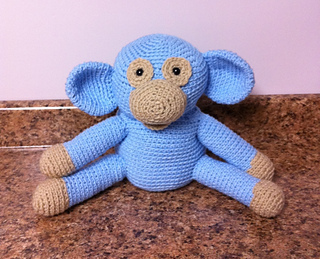 As with all of our patterns, this pattern is a pdf that contains progress photos.